Proton to use Petronas E01 family engines? Home » Local News » Proton to use Petronas E01 family engines? Proton Holdings Bhd signed a memorandum of intent (MOI) with Petronas to develop larger-capacity engines and an environmentally friendly alternative fuel system. The MOI involves Proton and Petronas working together to explore the development of Petronas engines like the Petronas E01 for mass production and fitment into Proton cars. Proton intends to use the E01 family for it’s 1.8 to 2.2 litre product range. Proton and Petronas will also collaborate on NGV systems for Proton cars. Previously a Letter of Intent was also signed between Petronas and Nanjing Automobile of China for it’s Petronas E01 family. 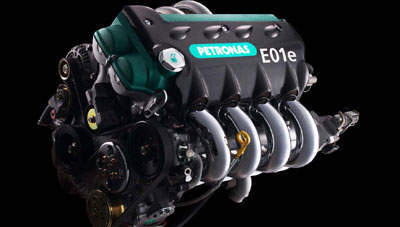 For the specifications of the Petronas E01 engine, click here for more details.